The Supreme Court on Wednesday acquitted three murder accused whose death penalty was confirmed by the Karnataka High Court. 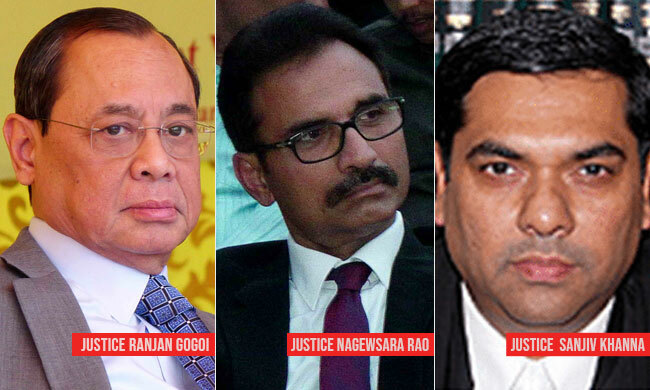 The three-judge bench comprising CJI Ranjan Gogoi, Justice L Nageswara Rao and Justice Sanjiv Khanna also commuted death penalty awarded to one accused to life imprisonment. Basavaraj, Yankappa, Ramesh and Palya were sentenced to death by the trial court convicting them for the murder of three persons. The Karnataka High Court had confirmed the death sentence. The apex court acquitted three accused holding that there was lack of adequate evidence on the part of the prosecution with regard to identification of these accused persons and recovery of articles/items. The court also added that prosecution failed to adduce proof of identification of the accused persons to sustain the case that it is the accused who had committed the crime. "In a situation where the statement of the accused recorded by the Police is to the effect that they had thrown the looted items into the water tank it was the bounden duty of the prosecution to prove/show as to how the recovery of the articles were made if such recovery is to be treated as evidence admissible under Section 27 of the Indian Evidence Act, 1872. No such evidence is forthcoming," the bench said. As regards one accused-Palya, the bench observed that the prosecution, on the basis of evidence of witnesses, had succeeded in proving the case. The bench modified the death sentence to life imprisonment take into account the circumstances in which the crime was committed and the fact that the charges against three of the co-accused had failed.